Unisex 3.6 oz., 65% polyester/35% ring-spun cotton heather navy tee. 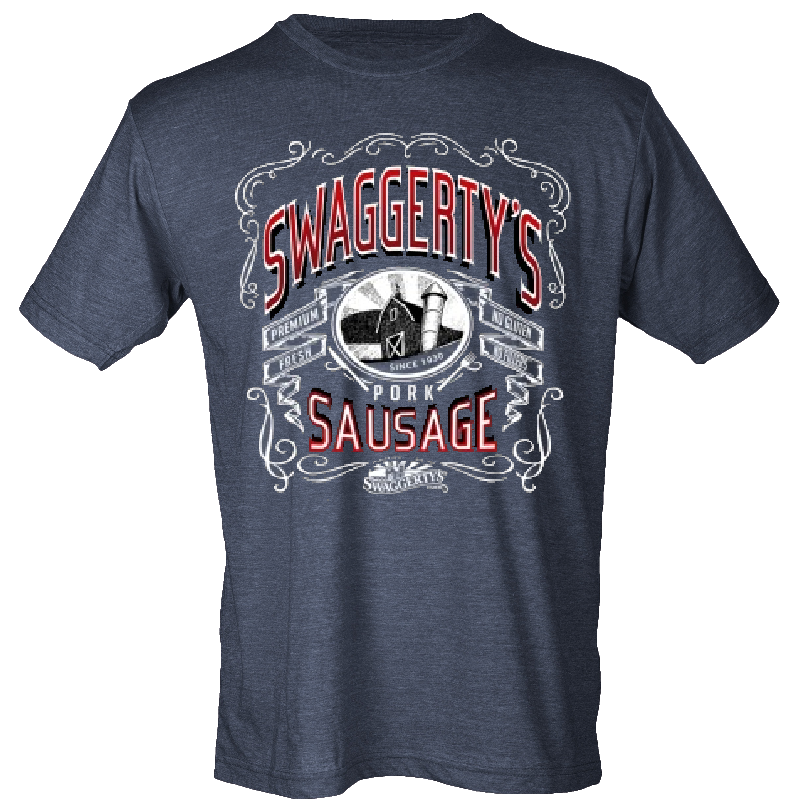 Swaggerty's Pork Sausage design on the front. 18" 20" 22" 24"" 26" 28"